Legendary monsters battle among Earth's cities to determine the planet's fate. 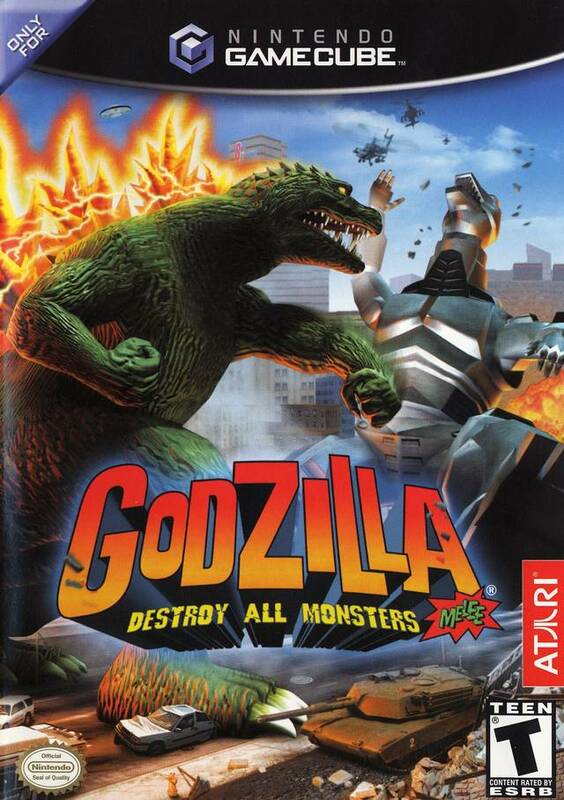 In Godzilla: Destroy All Monsters Melee, you can play as Godzilla or any of his longtime rivals as they fight hand-to-hand, at close range, and with special moves. Use each monster's unique abilities to demolish cities and take out your enemies -- everything from teeth and claws to super-powered projectile moves. Realistic physics make the destruction shockingly real, and the huge sense of scale will amaze you as you control a 180 foot beast. For multiplayer fighting mayhem, you can bring three of your friends into the battle. Oh my God I love this game. My buddy tell me about this game from his childhood, I ordered it got it 4 days later and it's just been great fun. The disc was in great shape and I got a complete for just a few books more. I love this site I buy All my Old games from here. 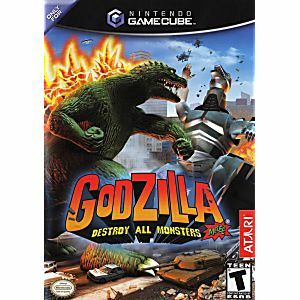 This games was my childhood for GameCube, and I really happy to buy. My bro love this game too, and for 4 player with family is really fun experience. Love it. This is the first game I've gotten from this site. I used to have this back in the day but needed a new copy after dusting off the ol GameCube and finding the disc all messed up. The game shipped right away and I got it within a few business days. Everything was in perfect condition, and the whole process was very easy. I know it's cliched, but they just don't make games like this anymore. It is quite simply epic in terms of in combat action, nostalgia and replay value. Next time I buy old console games online, I'll check here first. Thanks! Very fun brawler, good party game. Especially for a fan of the movies.